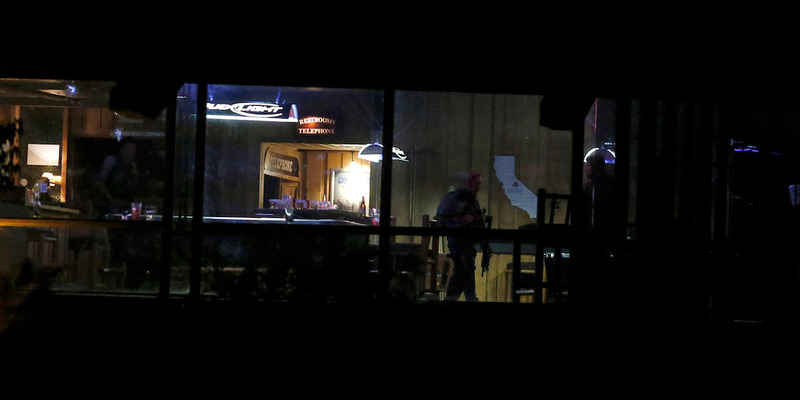 The gunman who killed 12 people at a bar in Thousand Oaks, California, fatally shot himself after exchanging gunfire with an officer, authorities said. An autopsy revealed Saturday that Ian David Long, 28, died from a self-inflicted gunshot wound. Investigators say that based on time stamps, Long posted to Instagram during the attack. The post involved his mental state and whether people would believe here was sane. An autopsy has found the gunman who killed 12 at a Southern California bar died from a self-inflicted gunshot. Police say Ian David Long, a 28-year-old ex-Marine machine-gunner, shot and killed 11 people at the Borderline Bar and Grill along with a police officer who responded just before midnight Wednesday. Police said the officer exchanged gunfire with Long, who was found dead at the scene. Ventura County Sheriff Bill Ayub said Saturday that an autopsy showed Long fatally shot himself. Authorities said Thursday that they had had several prior run-ins with Long, including one incident earlier this year in which mental-health specialists were summoned to his home. The mental-health specialists eventually left him at the scene, however, because they didn’t feel Long met the criteria for being involuntarily held under California’s Code Section 5150, which allows authorities to detain someone for evaluation and treatment for up to 72 hours. Authorities have yet to determine a motive.